Our Seam Binder Hidden Fixing is a screw down trim from carpet to a non floating hard or resilient floor. The Seam Binder Hidden Fixing can be used as a Binder Bar/Reducer. Depending on the profile selected it can be used on varying heights 5/32" edge to a 3/8" edge. The flooring heights are limited to the 1 ½” screws. 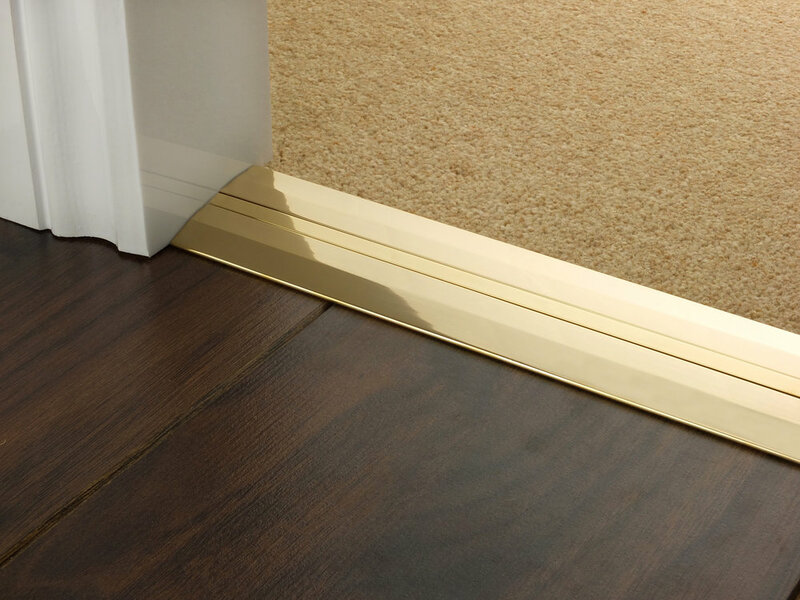 We are sure these luxury carpet metal thresholds including a self adhesive inlay strip to cover the fixing screws. These will offer the finishing touch to your carpets and flooring. Seam Binder Hidden Fixings 1 3/16"
Seam Binder Hidden Fixings 1 1/2"
Seam Binder Hidden Fixings 2 11/64"